Users of social media (isn’t that everybody these days?) may have seen an intriguing image doing the rounds today. 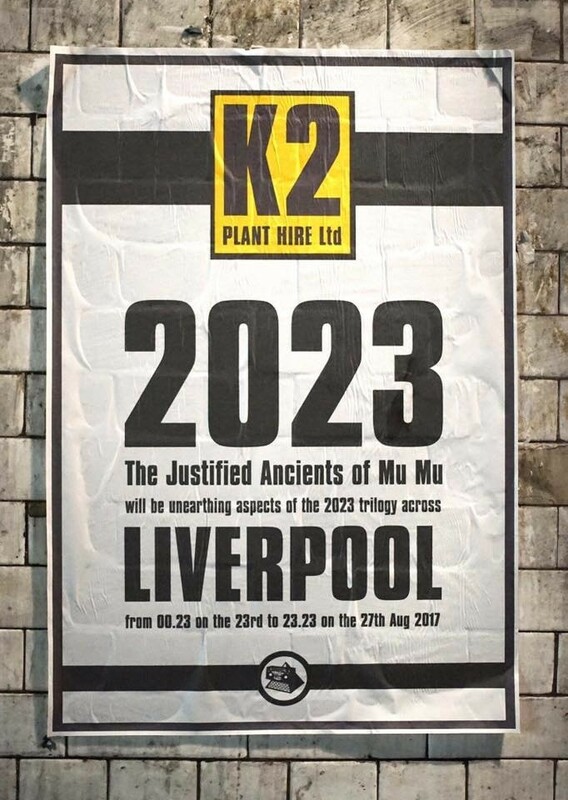 The image is for K2 Plant Hire Ltd, stating The Justified Ancients of Mu Mu will be “unearthing aspects of the 2023 trilogy across Liverpool“. What makes this so interesting is that both K2 Plant Hire Ltd and, more obviously, The Justified Ancients of Mu Mu are known pseudonyms for The KLF. The image also mentions times and dates running from 00:23 on the August 23, to 23:23 on August 27. 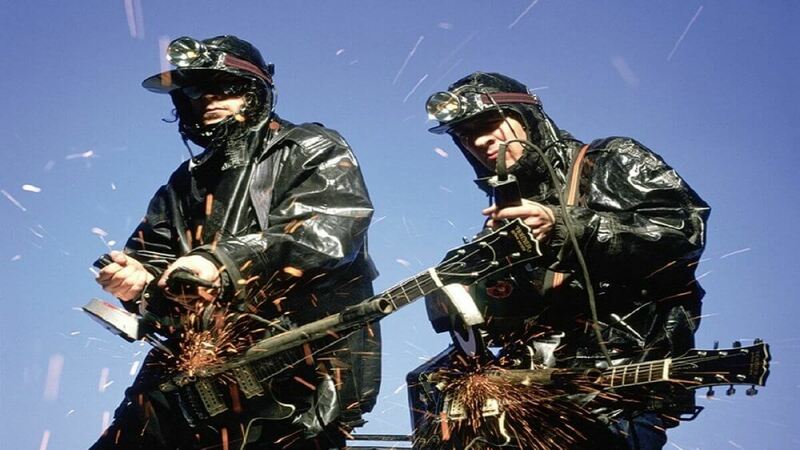 The KLF have a long history with Liverpool, having performed at least two of their rare gigs here. One a fairly conventional gig (by their standards) with Echo and the Bunnymen in Bootle, and another that consisted of them driving an ice cream van onto the stage as the Royal Court and selling their wares to the audience. The band’s Bill Drummond also has a long association with Liverpool. Even since his well documented time living in the city and playing with Big In Japan, he has a habit of returning when he has a new project. The last time he was here in an official capacity was as part of his project The 17, where he created spontaneous music, of sorts, with people who attend his happenings. The rationale behind this was to return a protest about recorded music becoming a commodity, as opposed to a joyous sound made by people coming together. What will The KLF bring to Liverpool in August? His previous visit was a project of two halves. The first him reading from his book 100, in which he decided that, rather than repeatedly answer the same questions in interviews, he would only answer questions he had not been asked before, and would stop when he had answered 100 of them. The second part saw him dressed as a road sweeper, sweeping from the Mersey Tunnel to Mathew Street. So what will the latest escapade be all about? So far we have very little idea as to content, but, as ever with this group of arch art-pranksters, expect the unexpected! Jimmy Cauty’s ADP returns to The Florrie New Arts, Music and Culture Centre planned for Liverpool Jimmy Cauty installation Aftermath Dislocation Principle heading to The Florrie Bill Drummond, Echo and the Bunnymen: The Crystal Day in 1984 A Carefully Planned Festival – Manchester’s DIY cultural diamond announces 2016 lineup A Carefully Planned Festival – Manchester’s DIY showcase festival to finish in style this October Chance Contacts with the KLF and Bill Drummond KLF: Why Liverpool?